Assembly of teachers, parents, and students at UCLA Community School in Koreatown debating the proposed contract agreement. Members of Black Rose/Rosa Negra – Los Angeles who were involved in community mobilization in support of the strike and as members of UTLA provide their summary and analysis. The article highlights the community-worker nature of the strikes demands, the conditions of the settlement, the pitfalls of union leadership and labor law, as well as outlining next steps in the struggle. Editorial Note: This article received further edits for clarity and additional commentary on February 2, 2019. After six days on strike, Los Angeles teachers and students are back in school. 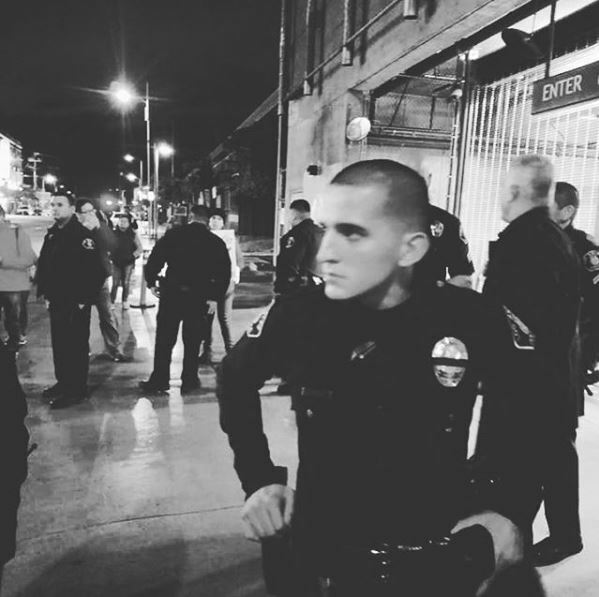 The strike was one of the biggest fights LA had seen in decades. It organized more than 30 thousand teachers and many thousands more students, parents, and neighbors into the streets against a school board intent on selling off their public education to billionaire corporations. The strike extended into every corner of the city, affecting millions of people and inspiring every worker who saw up close the possibilities of collective action. Accompanying the largely victorious settlement of the strike has come a wave of think pieces and responses from all quarters of the left, with most perspectives falling into a binary of supporting or opposing the union leadership. Others have dispensed support for or criticism of the outcomes of the strike. But what’s been lacking are suggestions of what realistic steps rank-and-file workers can take to build from this struggle. To advance a practical perspective toward building workers power, we need to look at the base of the union and our working class communities in Los Angeles. What’s more, we need to ask what we can do together, whether we agree or disagree with union leadership, to build our own self-organization. The largest concrete gain for teachers coming from the strike are new and now enforceable limits on class sizes. They have been so central that the agreement to end the strike only moved forward when Superintendent Austin Beutner finally caved on that issue. While the new limits will immediately affect 800 classes, the maximum class size is still far too high at 39 students per classroom. Another major demand by the union was for a nurse and counselor in every school as well as for more librarians. With the new contract, the district has agreed to hire 300 more nurses, ensuring that each school is fully staffed, and every secondary school will now have a full-time teacher librarian. For counselors, the district agreed to hire 17 more positions— an improvement— but for secondary schools, the student-to-counselor ratio has moved from 750:1 to 500:1. The contract shows progress on reducing testing, defense for immigrant students, creating green space on campuses, and supporting ethnic studies. Up to 28 schools will be exempt from random searches of students, a failed anti-gun policy put in place that enabled harassment to students of color and which the student group Students Deserve has been campaigning against. Thirty schools will also be designated as Community Schools. This means they will receive extra funding and more local control sothey can establish wraparound services for the surrounding neighborhoods. Community schools are the union leadership’s vision of what public schools should look like, and they hope that by establishing these first examples, they can show a real alternative to charter schools. Breaking through the repressive systems of the state and unleashing the power of workers needs to happen through the initiative, organization, and confidence of rank-and-file workers, not the decisions of leadership. On wages, the union de-emphasized its demands, asking for only a 6.5% increase— which is less than a cost-of-living adjustment— and in the end settling for 6%. Most teachers seemed satisfied with this for now, strategically prioritizing their other demands for improving working conditions. However, wages continue to be undervalued in teaching as well as in other traditionally female and caring labor professions. With wages up for re-negotiation as early as January 2020, future fights can provide workers the opportunity to improve this. Next to class size, a key demand for the strike was to limit charter school expansion. Unfortunately, the new contract does little to address this, with almost no concrete language around charter schools. What the contract does specify is an agreement that the district will give the union advance notice if it plans to take away campus space from a public school and give it to a charter in a practice known as ‘co-location.’ The district will also allow a union representative to serve on the board that oversees the implementation of the co-location. However, this puts the union in the role of accomplice to the co-location process—a form of transferring public resources over to private control— when the entire process should be halted altogether. The union also won a vote from the school board supporting a statewide cap on charter school expansion. However, this is an ongoing battle that teachers across California will need to keep fighting, using all the strength and organization that was built during the strike. Teachers won historic victories from the strike and should feel proud for what they have done. Because of their sacrifices and hours spent on the picket lines, teachers, parents, students, and other school site workers have renewed hope for public education. But it was also possible to take this strike even further. 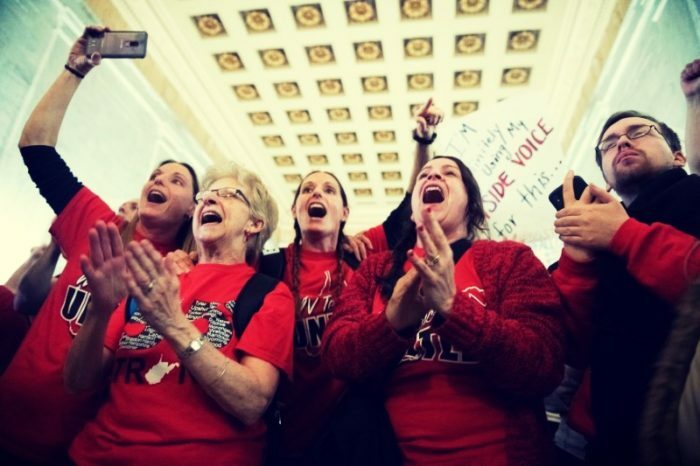 Having gone on strike for less than half as long as West Virginia teachers— and with community support still holding strong— should the tentative contract agreement have been rejected and the strike continued, it’s probable that more gains could have been won. We don’t think that a no vote on the contract was justified because the proposal wasn’t enough, but because, given the balance of power at that moment, it was entirely realistic to continue the fight. As it was, many teachers— even those who ended up voting yes on the agreement— were left feeling unsatisfied. These feelings of dissatisfaction were exacerbated by the fact that teachers had only a couple of hours to read a 40-page document and vote, then head back to school the next day. Teachers were left feeling that their voices were excluded. Workers need to feel their struggle has been worthwhile and that they are claiming victories with their own power. Settling for a contract that is both less than expectations and what is practically possible can deflate that sense of power and can discourage future struggle. However, to successfully carry out a no vote against a contract deal is not simple. The UPS contract vote last year is a perfect example. It requires having strong democratic and rank-and-file led organization independent of the union leadership that can articulate its own vision of what a minimum acceptable contract is, coordinate a no vote, and then prepare workers to continue action if the leadership is not willing. Building that kind of organization is a long and hard process, but situations like this show why it is so important. Students marching in support of teachers. When the current ‘Union Power’ leadership was first elected and went through the 2015 contract negotiations, we were skeptical of its willingness to organize. It had seemed like the union leadership was not serious about waging a real struggle or organizing the union base, but, as we said, “wielded the threat of a strike as an empty rhetorical weapon.” Since then, we’ve seen that the union leadership does have a real commitment to organizing. It clearly knew that it had to build a strike this time around in order to win the contract and— more importantly— in order to strengthen the union. 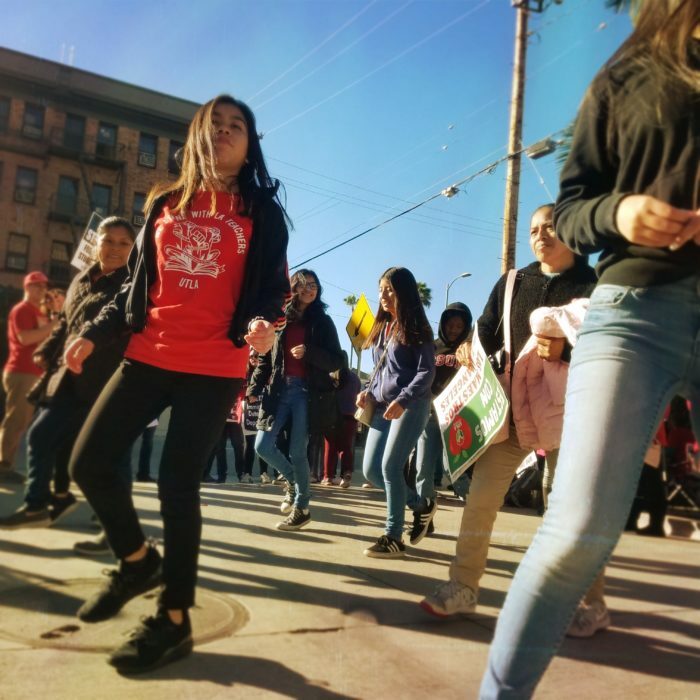 UTLA is more organized, more militant, and more politically conscious than it has been in quite some time. The current leadership has definitely helped make that happen. But even though we underestimated them several years ago, the same structural problems that we pointed out during the 2015 contract negotiations are still here today. The current Union Power slate was first elected in 2014 as a union reform leadership in UTLA. The new president, Alex Caputo-Pearl, came from the Progressive Educators for Action Coalition reform caucus (PEAC). Although they positioned themselves as a new fighting leadership, Alex and PEAC had already helped defeat a movement to strike against the layoffs of 6,000 educators during the budget cuts in 2009. Soon after the Union Power slate was elected in 2014, the very caucus that got them elected shrank its space for independent rank-and-file organizing, became largely an extension of the leadership, and eventually stopped meeting altogether. A common dynamic emerged where, once left-leaning teacher-activists succeeded in getting their candidates elected, they shifted gears to supporting and defending those positions. This is a repeating trap of entering into union leadership. Many other victorious reform caucuses see the same pattern: the rank-and-file organizing dries up, and the top-down directing of union strategy drags on as before. We spoke on that dynamic during the last contract negotiations, and this time around, it was visible in the same way. 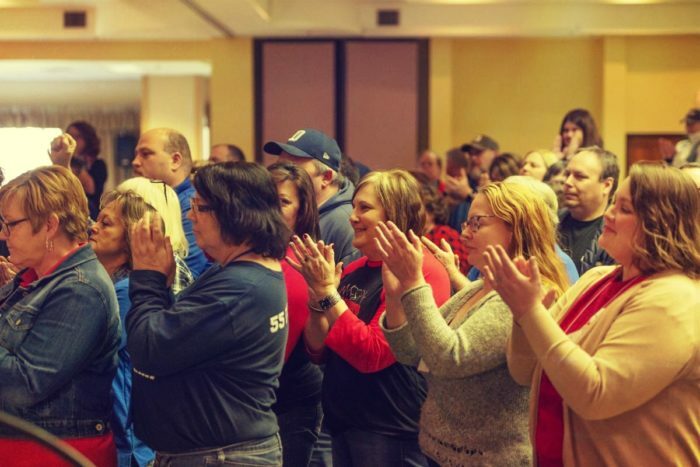 In both 2015 and 2019, the union leadership announced a contract deal and an end to the struggle when, realistically, teachers and their supporters were ready to push for more. During the debate over whether to accept the proposed contract during this strike, members of political groups that have a stake in the union leadership seemed to make it their primary responsibility to provide backing for what the union leadership wanted. We are not against participating in union elections. But most union reform efforts approach winning leadership elections as a shortcut instead of going through the long but necessary process of re-organizing and democratizing the union from the bottom up. The disconnect that we saw between the left in leadership and much of the rest of the union was created by seizing leadership before democratizing the union. One of the simultaneously most inspiring and discouraging aspects of the strike has been the amount of solidarity across unions. Although many SEIU workers at public schools courageously went out on sympathy strike with the UTLA strike, they did so with little support from their union. Before the strike, SEIU announced that they would support their members in strengthening the picket lines only if they fulfilled a tall order— within 24 hours, eighty percent of SEIU workers at each school site had to sign a petition in order to go on sympathy strike. At first, out of more than 800 school sites, only 10 met those conditions. Yet, as they pushed the union, ultimately workers at 43 schools took sympathy strike action. IBEW and Teamsters workers were seen crossing picket lines while escorted by police. And, to the best of our knowledge, another school union, the California School Employees Association, took no action in support the strike. Had there been a greater worker presence outside of UTLA on the picket lines, the strike would have come out even stronger. But getting to that point requires organizing across unions, breaking down barriers across unions and professions, and creating organizing spaces independent of existing unions. These must be organizing spaces that can bring together all the workers at the school site, all the workers in the neighborhood, and all the workers in the school district. The IWW is one existing organizing tool that workers are using to create such organizing spaces, but depending on the context, we have many options available to help us do this. Once the contract negotiations of the strike entered their final phase, UTLA accepted Mayor Garcetti’s condition that they observe complete confidentiality. This meant that the union bargaining team was shut up in City Hall with the full pressure of the city and state governments to end the strike with no feedback from or connection to the rest of the union. The IWW Burgerville Workers Union in Portland, OR has been using a strategy of open bargaining that is open not only to their entire membership, but also to the broader community as well. Community groups and other unions, for example, can participate in bargaining sessions. Although open bargaining comes with many challenges, it may very well have made the teachers’ negotiation process more democratic, broken the government-imposed isolation of the bargaining team, and strengthened the power of the strike. In Republican-dominated states where teachers have gone on strike, Democrats have put themselves forward as the champions of public education, which managed to divert energy into campaigning for them in the midterm elections. But states such as California, where Democrats hold a state government supermajority, should serve as a warning for the rest of the country. In Los Angeles, where the Republican Party has relatively few elected officials, the union is fighting against an all-Democrat school board. Efforts toward privatization and gutting public education are led by Democrats here as well. And, all too often, workers have experienced this at the hands of the very Democrats the teachers unions helped put into office. The example of former LA Mayor Antonio Villaraigosa, whose political start began in part as a UTLA organizer, demonstrates this perfectly. The reality is that “progressive” Democrats in office have not only failed to defend public education, but have also perpetuated attacks against it. The most effective method for defending public education has not been to put power in the hands of Democrat politicians, but rather for teachers to wield their own power through collective organization and the strike. By building a powerful strike with broad community support, LA teachers have even forced notorious pro-privatization and anti-union Democrats like Cory Booker to speak in support of the teachers’ demands. UTLA will be putting resources into Jackie Goldberg’s special election campaign for the school board. Although many union members are excited about her campaign, teachers should be careful not to let this decision take focus away from direct action organizing. Police intimidation of union and community pickets. This strike has shown the power of workers, but it has also shown where that power has been limited and blocked. Over decades of struggle between workers and capitalists, the state has created an extremely complex system of labor law meant to keep business running smoothly and defuse worker combativity. This legal system limits the strength and possibilities of struggle. First, unions, especially public sector unions, cannot legally strike on their own schedule in most cases, but instead must jump through a lengthy series of legal hoops before they are allowed to walk out. Even after UTLA’s contract expired, it still took 20 months of various stages of bargaining, mediation, and fact-finding before they could legally start the strike. Once UTLA had finally named a strike date, they were forced to delay at the last minute because LAUSD filed a lawsuit saying that the union had failed to properly fill out a form giving official notice of the strike date. 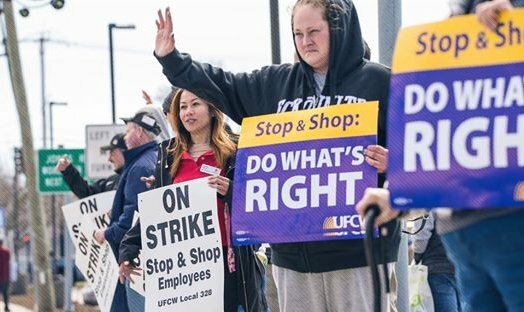 If unions had the freedom to call strikes on their own timeline, it would give them the initiative to take action when it made sense for workers, not when it was convenient for the courts and bosses. UTLA would have been able to coordinate their strike with the wave of red-state teacher walkouts last spring. Or Los Angeles teachers could have coordinated with teachers in Oakland and other cities to build towards a statewide teachers strike. The entire contract bargaining process is extremely legalistic and designed to narrow down workers struggle, confining it to closed-door sessions between small groups of experts and lawyers. 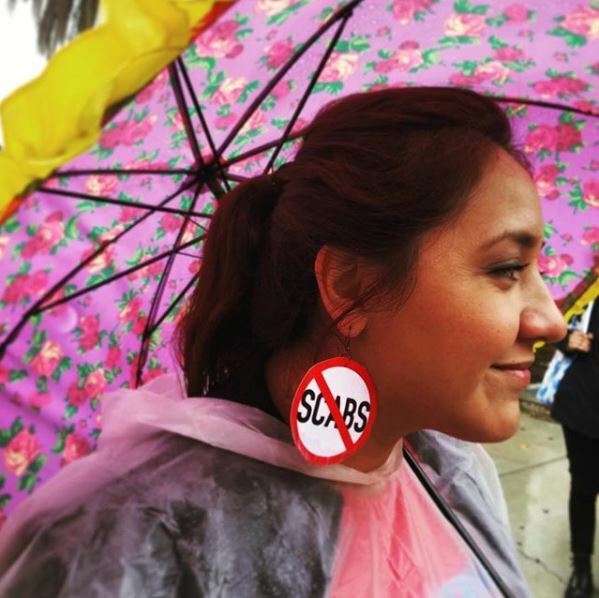 LAUSD has used this legal system to declare that many of UTLA’s community good demands are “outside the scope of bargaining” and need to be dropped. UTLA decided to formally drop these demands so that they could get to a strike as quickly as possible rather than fighting it out in court between lawyers. 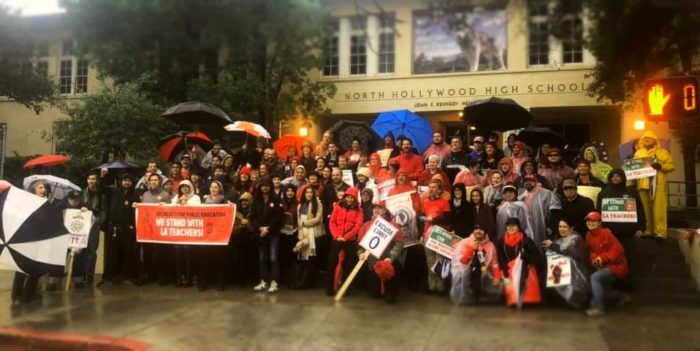 Once they brought the power of the strike to bear, UTLA was able to unofficially reintroduce those demands and get LAUSD to concede on some of them. But while UTLA has shown how to intelligently work within these limits of the contract bargaining framework, workers need to be building the strength to completely break through this framework and take back the initiative from the bosses and courts. That means, first of all, that unions need to start breaking the law. Public sector unions were built on illegal strikes in the 1960s and ‘70s. And, as Joe Burns reminds us is “There Is No Illegal Strike, Just an Unsuccessful One,” the 2018 West Virginia teachers strike was waged without any formal legality.. The biggest gains of the labor movement have been made through mass law-breaking. However, we have no expectation that the UTLA leadership or other union leaderships will soon be walking out on illegal strikes or enforcing hard pickets. Breaking through the repressive systems of the state and unleashing the power of workers needs to happen through the initiative, organization, and confidence of rank-and-file workers, not the decisions of leadership. At this time, there is almost no independent rank-and-file organization within union or non-union workplaces. The focus of radicals right now should be to start building up that organization and developing the militancy of workers through the long-haul work of one-on-one meetings and committee-building. Alongside pushing to break the law in labor struggles, workers can also organize for unions to take up some reforms that would expand workers’ ability to take action. These include repealing the Taft-Hartley bans on solidarity strikes and other union actions as well as eliminating no-strike clauses from contracts. Hollywood High School picket line. The Los Angeles teachers strike was not the climax of the fight for public education, but just the opening salvo in what is likely to be a long struggle. How teachers use the power, organization, and momentum built from the strike to escalate the struggle is arguably more important than the strike itself. Strikes are incredibly important because they unleash the self-organization and class consciousness of workers. 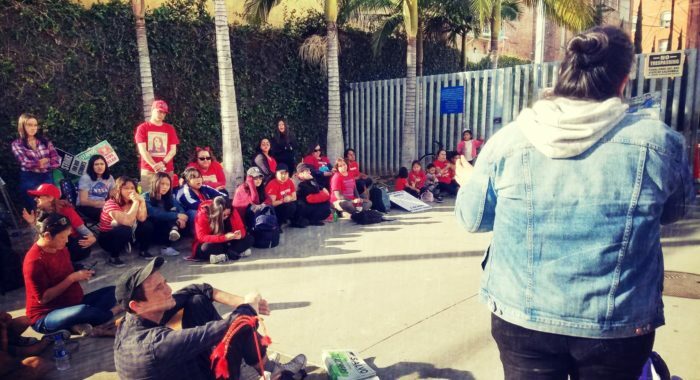 In this case, the LA teachers strike also forged new relationships of struggle between teachers, parents, students, and other school site workers. These should be kept going as a permanent foundation for future struggle. The Contract Action Teams created at each school site can be used to fight around local site-specific issues and also as a basis to mobilize for statewide fights. In our pre-strike interview with Kevin, a teacher in South Central, Kevin gave some suggestions for how these committees can be organized to build leadership and empowerment in the local rank-and-file. Teachers everywhere should be working to build similar workplace committees if such committees don’t already exist. The relationships built with parents, students, and other school workers should be incorporated into ongoing workplace and community organizing. The strike was won so quickly because of massive community support and involvement. 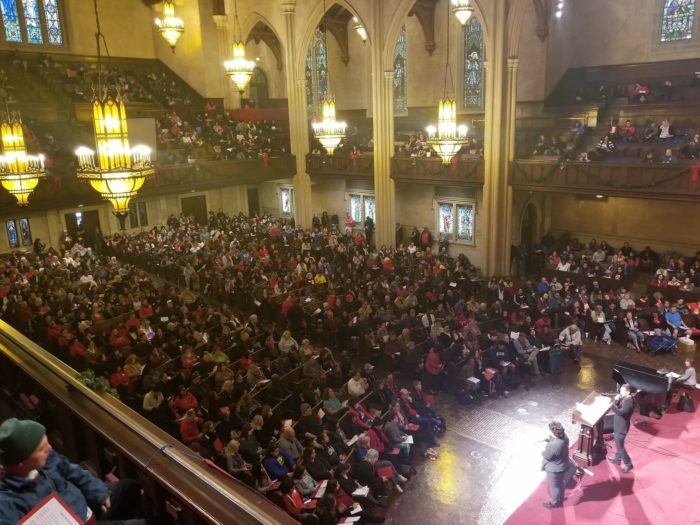 Strengthening those alliances will be key to winning future battles and to link the teachers’ fight with other working-class struggles across the city. School site worker committees can include space for various union members (e.g., SEIU and CSEA) and can support students and parents who were involved in the strike to continue organizing by creating similar permanent organizing spaces. Although the local level is where we all need to start organizing, beyond that, there are many opportunities to connect with teachers across the state. Oakland is preparing to go on strike, San Diego teachers are beginning their contract negotiations, and everywhere teachers are agitating for better working and learning conditions. 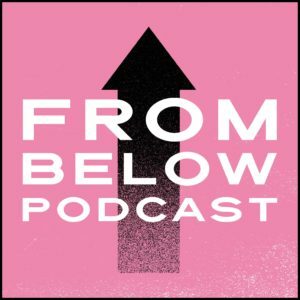 It is important to make direct worker-to-worker connections and not to rely on the coalitions between union leaderships and nonprofits. Looking ahead, besides the school board election in March, UTLA will be focusing on a two-prong campaign, first to increase California’s per-pupil funding to $20,000, and second, on a linked 2020 ballot initiative that will repeal part of the notorious Proposition 13 — which allows landlords to pay the same amount in property taxes in perpetuity from when the property was purchased. The strike has also galvanized a push for a limit on charter school expansion, which will require statewide coordination. Linked to that will be a push to unionize more charter schools— a handful of which joined the LA strike. Locally, the contract re-openers in 2020 and 2021 will see renewed fights over salary and healthcare. For all these fights, teachers and those alongside them should be preparing, expanding the rank-and-file organization they have created together through this strike.